My friend and I hitchhike, with our thumbs out, on the 95 freeway going into Boston Massachusetts to find work. We obtained a job interview at Boston City Hospital Psychiatric/Mental Health Facility, contemplating working with substance abuse, while the nursing director tells us “You need psychiatric experience first.” My friend’s frustration is reflected in her response “How can we get experience if no one will hire us?” Thus her open and honest remark gets us the job, which is to begin in September. We decide to live and work on the East Side for the summer, which is our most favorite place where culture, history, and earthly beauty, is surrounded by a college atmosphere that is comfortable while also stimulating on many levels. 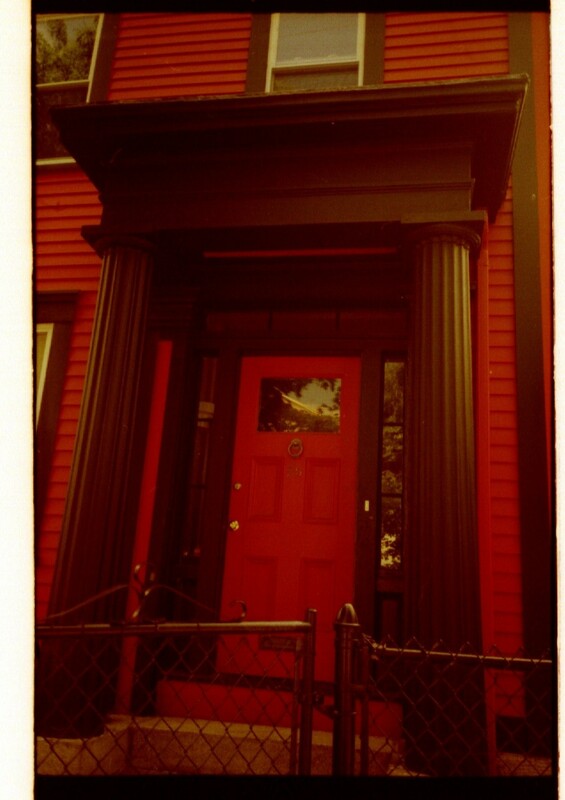 The East Side is a combination of neighborhoods in Providence, Rhode Island on the famous eastern part of the city. It officially comprises the neighborhoods of Blackstone, Hope (commonly known as Summit), Mount Hope, College Hill (once known as Prospect Hill), Wayland, and Fox Point. The East Side contains numerous parks and green spaces. It is approximately four miles north to south and two miles east to west which is great for my love of walking. Mostly residential, the East Side is the most affluent partof the city with higher property values, lower unemployment, and higher income levels than the city as a whole. Approximately 20% of the city’s 175,000 people live on the East Side. Roger Williams founded Providence along College Hill; in 1650 it is the place of the first colonial settlement plots. The East Side contains the oldest section of the city. 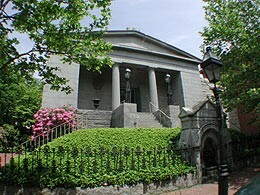 The Providence Preservation Society and the Rhode Island Historical Society have preserved numerous historic buildings in this area. As you walk the streets you see mental planks on the houses with the dates it was built, symbolizing that the structure is being maintained as it was originally constructed and owners are not allowed to alter it in anyway. 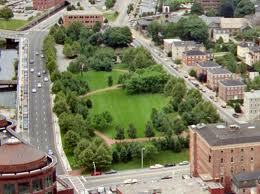 The memorial, is a 4.5 acre urban green space located at the foot of College Hill, includes a freshwater spring which was the center of the settlement of Providence Plantations founded by Williams in 1636. It is on this site that Williams, through word and action, fought for the ideal of religious freedom. As we continue south on North Main Street we arrive at The First Baptist Church in America which is the oldest Baptist church in the United States, founded by Roger Williams in 1638. He called the city “Providence” because he believed that God had cared for him. This colony was a “shelter for persons distressed of conscience.” Providence had soul liberty and the founding principles of the separation of church and state, which were so powerful that subsequent settlers in Rhode Island adopted them. All the other colonies had established churches and religious requirements. We walk a short distance, turning left on Meeting Street; we go a block up the hill to Benefit Street, where we find The Marine Armory, built in 1839 and was in service during the American Civil War by the Rhode Island Militia. Also known as the State Arsenal and called the Benefit Street Arsenal is a historic site at 176 Benefit Street. We continue heading east up Meeting Street, we go 2 more block up the hill turning left onto Congdon Street and continue down the block. We are now at Prospect Terrace Park also located in the College Hill neighborhood, founded in 1867, which overlooks the city’s downtown area. 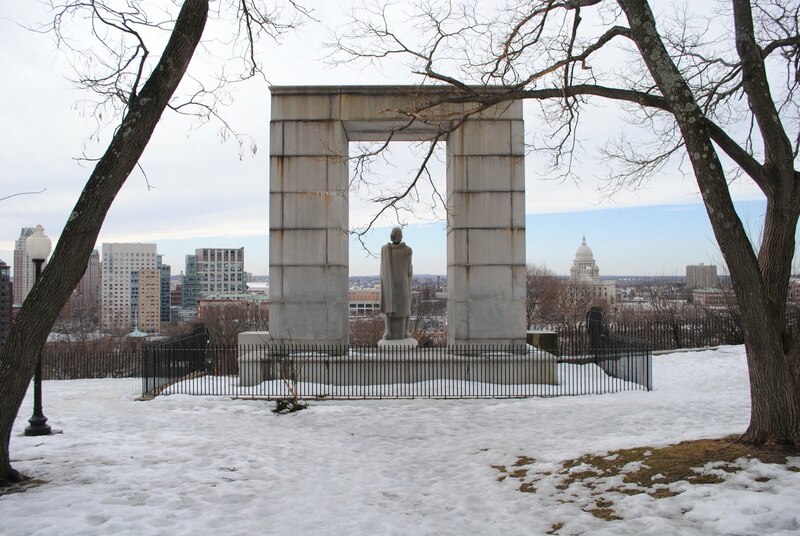 Our eyes are drawn to a 35-foot white stone statue of Roger Williams gazing over the city, built in the late 1930s on his burial site, commemorates his founding of the state of Rhode Island and his promotion for religious freedom. His remains are buried in the tomb beneath his statue. Here is where the flashing lanterns were placed, during the revolutionary war, warning the citizens that “The British are coming”. I love the view from the here, overlooking Providence and have spent lots of time here while in nursing school, where everyone hangs out day and night for the city lights are something to behold, especially the brightly lighted state house. We return back to Meeting Street turning right, the way we came, going 2 blocks down the hill, turning left onto Benefit Street. 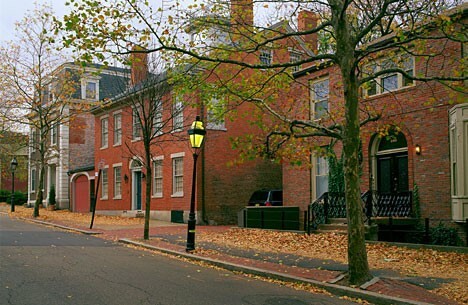 Benefit Street may be only a mile long, but it is considered the most historic street in the city of Providence. 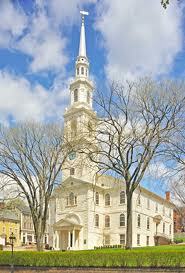 Its construction began back in 1765, and it has undergone innumerable changes since then. It remains, however, culturally, architecturally, and historically rich today. There are many cobble stone streets in this area. Let us continue our stroll south on Benefit Street for 2 more blocks until we come to Waterman Street. As we look east up the steep hill we can see many of the Rhode Island School of Design‘s buildings that are along the slope of College Hill, and most of the Brown University‘s facilities, include the Main Green, the Rockefeller Library, the Pembroke Campus, and the School of Medicine. Instead we will check out The RISD Museum located on the corner of Waterman and Benefit Street. I often visit the basement; I love Rodin’s white marble sculpture of the hand of god holding the world which is also a man and woman entwined. Going another 2 blocks we find ourselves standing in front of The Providence Athenaeum, the fourth oldest library in America. 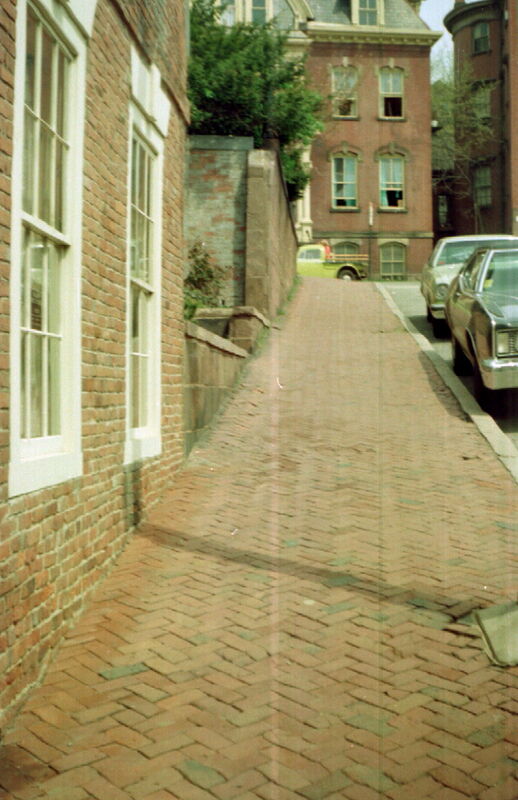 It is well knows that it is here where Edgar Allan Poe and Sarah Helen Whitman hung out during their stormy romance. Whitman was considered one of the “best female poets of America” who lived down the street from the library and had special privileges there for almost 75 years. 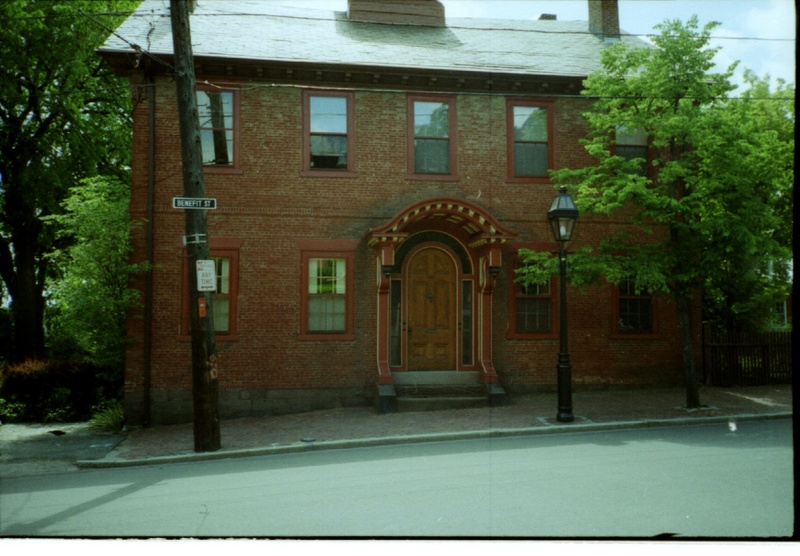 Continuing south for 4 large city blocks we come to The John Brown House Museum, the first mansion built in Providence, on the corner of Benefit and Power Street where famous people such as John Quincy Adamsand George Washington had tea. 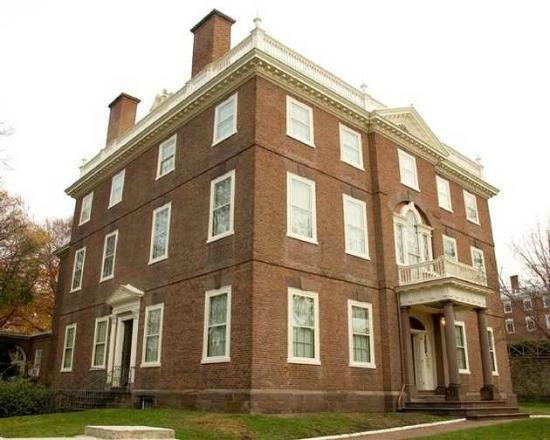 Home of the wealthy merchant John Brown (1736–1803), a china trader, slave trader, Federalist, owned distilleries and his family financed the establishment of Brown University. He was the planner and leader on the attack of the Gaspee in 1772. We continue walking south on Benefit Street, to Wickenden Street which goes in an east/west direction and named after the original plot owner, (like other East Side streets e.g. Arnold, Williams, Angell, Waterman) we walk all the way to Gano Street turning left and heading North to East Manning Street where we live in Fox Point. 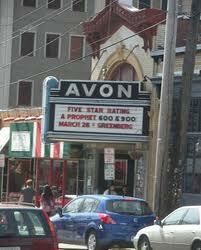 If we were to continue to walk north on Gano Street we’d find ourselves at the top of College Hill at Waterman Street or Angell Street which go west/east directions, we usually turn left heading west to Thayer Street where the Brown University Bookstore is located and the notable Avon Cinema which dates back to the early twentieth century. Numerous cafes, restaurants, and shops are located along Thayer Street, adjoining Brown University at Veteran’s Gate, and along Wickenden Street, South Water Street. Both streets are home to numerous small and independent shops. I frequent the area, eating bagel and cream cheese or a hot fudge Sunday at the little quaint Bob’s Big Boy and love buying clothes at India Emporium. To the north, the East Side is bordered by Pawtucket, Rhode Island. 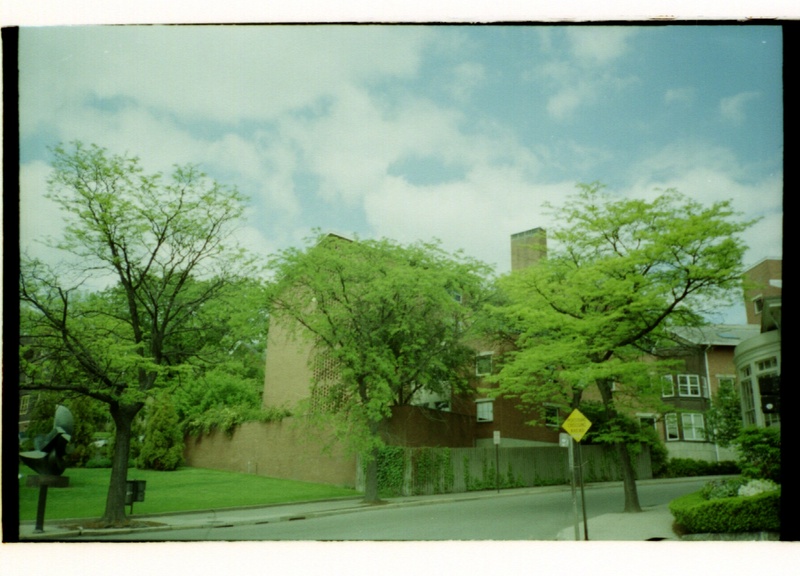 The most scenic route to there from our place is Blackstone Boulevard where there are huge expensive houses with large yards, being one of the most affluent white neighborhoods in the city with a median family income nearly four times that of the city. 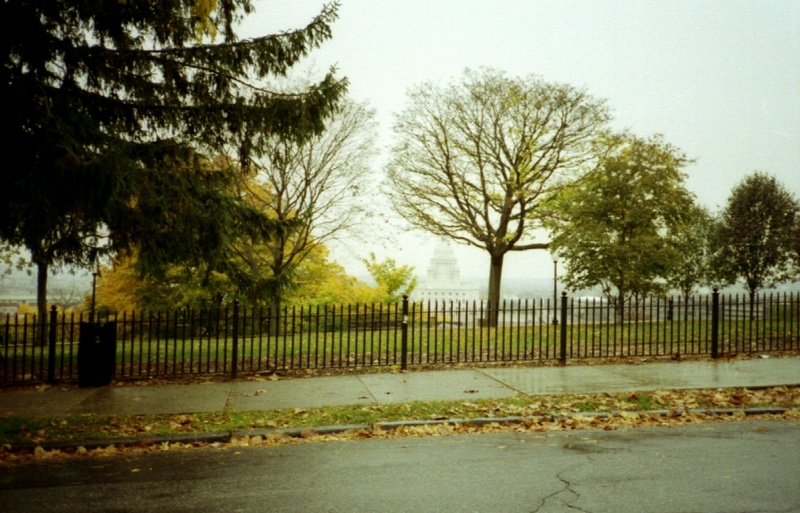 Blackstone Boulevard Park is a green space between northbound and southbound lanes of Blackstone Boulevard. It consists of 19.3 acres with 7.8 being parkland and a 1.7-mile path, right in the center surrounded by forest of old beautiful trees, for jogging and walking. Blackstone Park is at the end of Waterman Street in Wayland which is a 40-acre city park with 2,400 feet of shore frontage on the Seekonk River. To the East, the East Side is separated from East Providence by the Seekonk River. It runs all the way from Fox Point up behind Butler Hospital. We are surrounded by water everywhere we turn that is why Rhode Island is called the Ocean State. We applied to work at the famous Butler Hospital, located off Blackstone Boulevard, which is Rhode Island’s only private mental health hospital. Founded in 1844, the hospital offers psychiatric and substance-abuse treatment programs. We are not offered jobs, they express strong beliefs about patients’ rights and nurses responsibility to protect patients from abuse, stating “You did not report and expose the conditions that are going on at Howard State Hospital”, we explained that our school’s nursing director warned us that we would be kicked out if we intervened in any way. I know on an ethical level they are right, that to take on the system no matter the consequences is the right thing to do. I lacked the courage and fearlessness to follow through due to my own needs being more important. I understand my response of not taking action is related to my own abuse issues and keeping quiet about it, in addition to being the oldest child in my family and conditioned to keep secrets, the same pattern was repeated and reinforced with my Nursing Director so in order to accomplish my RN goal I bit my tongue and let the behavior continue. We leave Butler and head west to Miriam Hospital where we are hired for the night shift. To the south, the East Side abuts Narragansett Bay, which is formed by the confluence of the Seekonk and Providence Rivers. This is where Roger Williams landed after crossing the Seekonk River and is marked by a small park called Roger William’s Landing. Also we have India Point Park, the largest park in the area, is located along the northernmost shore of Narragansett Bay. 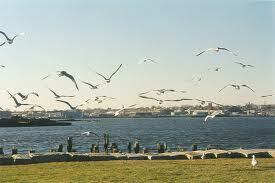 It is the only large expanse of Bay-side shoreline in Providence reserved for public use. Interstate 195 separates the park from the rest of Fox Point. We can easily walk to these areas to enjoy a beach like atmosphere close to home for we do not have a vehicle to drive to the beautiful distant beaches of Rhode Island. We live on East Manning Street in Fox Point, on the top floor of a double-decker; our landlord is an elderly Portuguese couple who live downstairs on the first floor. The old man with his quaint European attitudes is always instructing us on what is “Proper behavior for young women”, telling us “It doesn’t not look good that you had different guys over”, “You each need to pick just one young man each” while we explain they are just friends, we have invited over for a home cooked meal. The place is furnished with nice antique furniture, which is ideal for us at this time. The wooden structure is well built, with beautiful wood staircase and floors that are well maintained. We feel like we are living in the lap of luxury with our rent being $100/month. In July, after we pass our State Board Exams, we are hired for the summer, despite the fact we are moving to Boston, by Miriam Hospital a private, non-profit hospital located along 164 Summit Avenue in the Hope (Summit) area which is part of the East Side. Its history started in 1902, when a handful of women raise the down payment on “a place to care for the indigent sick of the Jewish faith.” To fulfill their dream, 450 people joined their cause, going door to door, they raised $80,000. As a result of their efforts, the first Miriam Hospital was founded by local Jewish organizations and opened in 1926 with 63 beds and 14 bassinets. A year later, another $82,000 was raised to help defray the “burdens of caring for charity patients.” The Hospital and the Jewish community formed a relationship that has endured for generations. 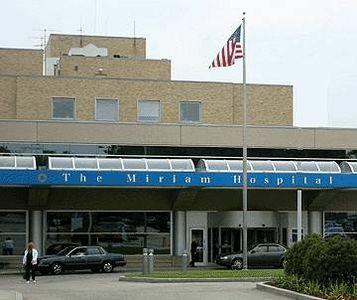 After the war years, $1.3 million was raised for a new 150-bed Miriam Hospital which opened on Summit Avenue in 1952. We ride the bus, for approximately 3 miles to our job, at 10:30 pm Monday through Thursday evenings. We call in sick on Fridays, because we figure that our income with the night shift differential, is equal to what we would make working 5 day shifts a week, they are so happy with us they do not complain about it. In September when we resign, they give us each a beautiful letter of recommendation, thanking us for the great care we gave, and letting us know that we could return at any time. My friend is Night Charge Nurse on The 70 bed Medical floor. Our job descriptions are similar we just work on different floors. I am the only Registered Nurse on the floor; my title is Night Charge Nurse on a 70 bed Surgical Unit, with 4 staff member who I assign patient care to and supervise. This is a very challenging job that I have been well trained for. My responsibilities include: hanging bags of Intravenous Fluids with Medication Piggybacks, administering all medications, ministering post-op care and managing emergencies such as surgery sites opening up and having to rush them back to surgery. There is no time to sit down and comfort distressed patients, especially those in pain. I become skilled at short brief kind words that reflect my caring attitude, combined with the technical comfort measures available, so that medication is not my only intervention, making my the relief of the patient suffering my prime concern. I struggle internally knowing more is needed and facing the reality of the situation. This reinforced my desire to do psychiatric nursing because my heartstrings are always being pulled on. When I assess and find a nursing intervention with a time restraint that is preventing me from following through, I feel sad. This is known as culture shock which all nursing students experience when entering the profession and learn what the real life situation is like. I make $977 working there for the summer. The first thing I purchased is a singer portable sewing machine: to continue developing seamstress sewing skills and for my creative endeavors towards designing my hippie style wardrobe. 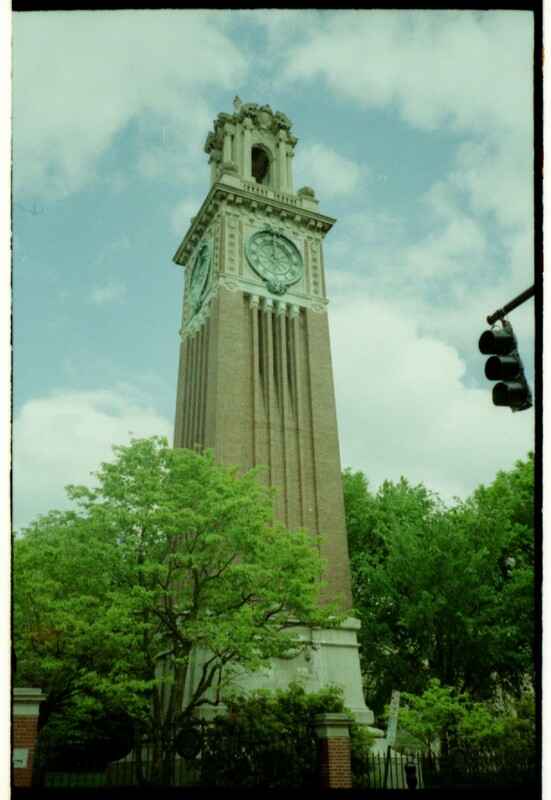 I loved living and working on the East Side, where we have spent a great memorable summer hanging out, nursing in the real world, and weekends hitch hiking to Boston. I always enjoy walking around on the East Side even in the rain enjoying the muscle burn up its hilly terrain. The beautiful cobblestone roads make great music that bounces of the brick structures that line the streets, making it a truly pedestrian community.